What is decorative concrete? Decorative concrete is concrete that has been stamped, patterned, or formed into a shape. Decorative concrete offers homeowners a huge change of pace from plain concrete, since there are multiple style options for both outdoor and indoor applications. What do contractors use to create this look? For starters, it’s important to understand that decorative concrete isn’t a DIY job. It’s best to leave this task to professional concrete contractors. 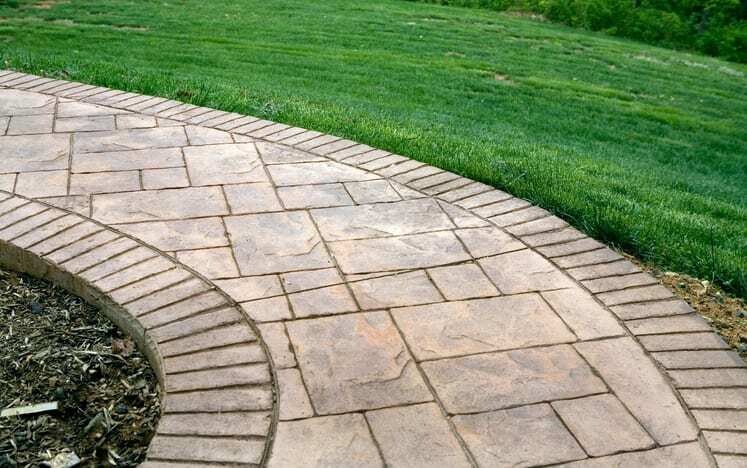 Depending on how you want your concrete to look, our crew will use molds, stamps, and other tools to create the desired effect on your patio, walkway, driveway, or other concrete feature. How many style options do I have? You won’t believe what a highly skilled concrete contractor can do! Concrete can be designed to resemble marble, wood, granite, brick, and many other materials. The best part is that is that decorative concrete is incredibly affordable. Even better, it’s durable, strong, slip-resistant, and water-resistant. If you’re looking for decorative concrete in Rock Hill, SC or Ballantyne, NC, contact GW Brockelbank Concrete Contractors. Our expert concrete contractors will create the perfect walkway, driveway, or patio for your property.